We had a great two days at the Manila Bakery Fair 2017. Why not let’s take a pose and show off our Dana poster. 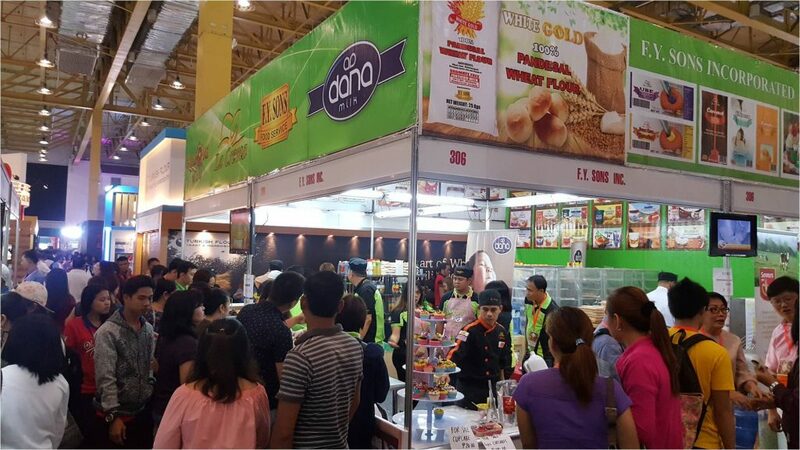 The ninth edition of International Exhibition on Bakery was held last week in Manila World Trade Center in Philippines. 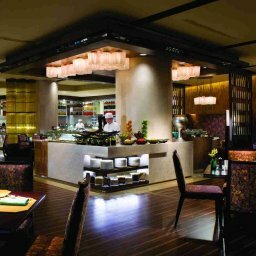 The show is a confectionery and food service exhibition that brings together all . 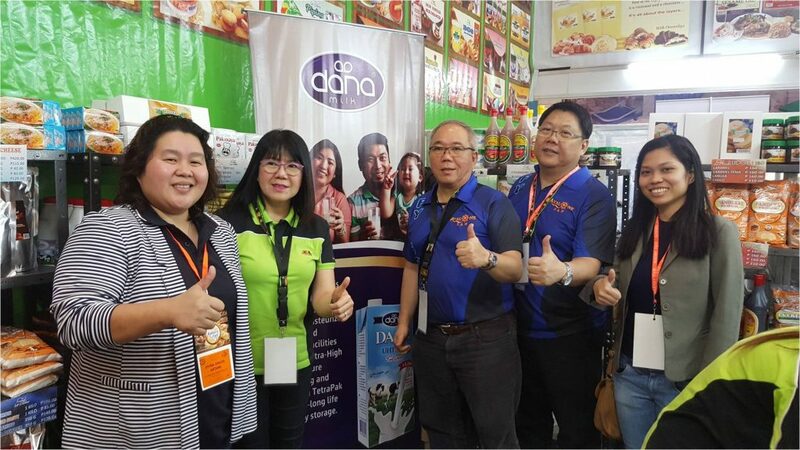 Present at the Metro Manila Bakery Fair DANA milk was introduced as a refreshing and good tasting milk to drink as well as a wonderful and healthy ingredient for cooking and confectionery making. At one point the staff stopped with their busy work schedule and took a happy pose for the camera. You can see the image above with great wonderful team holding thumbs up by the Dana logo. 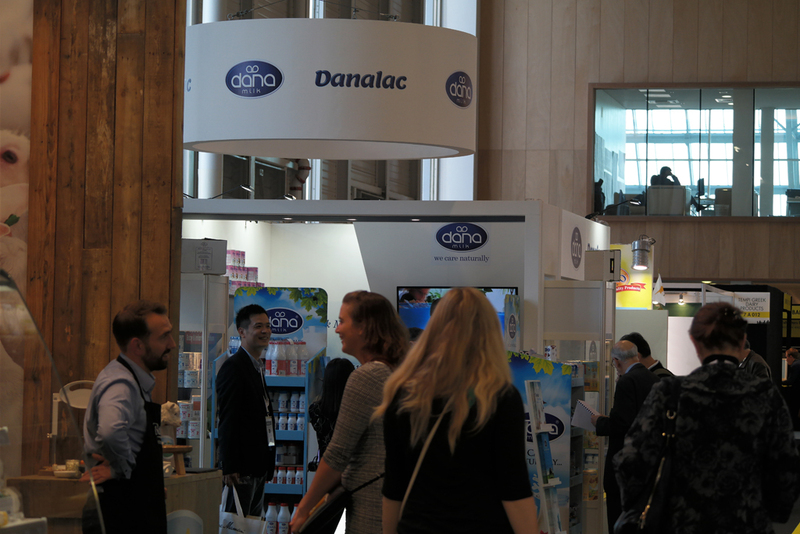 The stand at the show looked great with wonderfully designed banners and graphics. DANA long life milk is a great ingredient for making wonderful stuff. 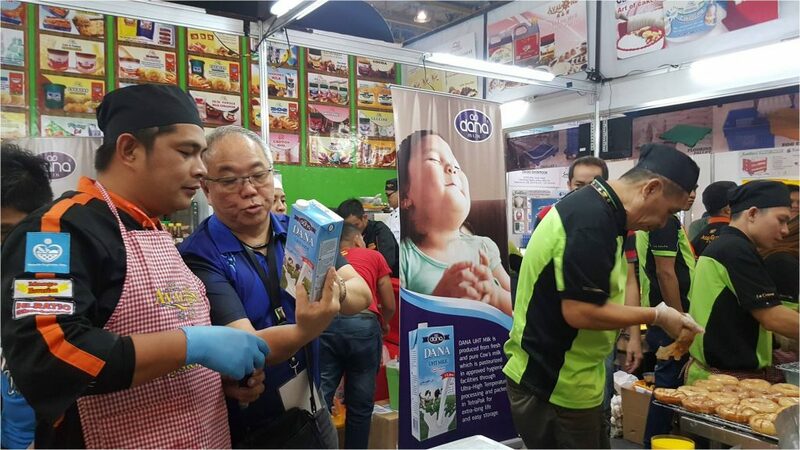 Here our presenter is showing off our tetra pak 1litre milk before adding it to the flour. 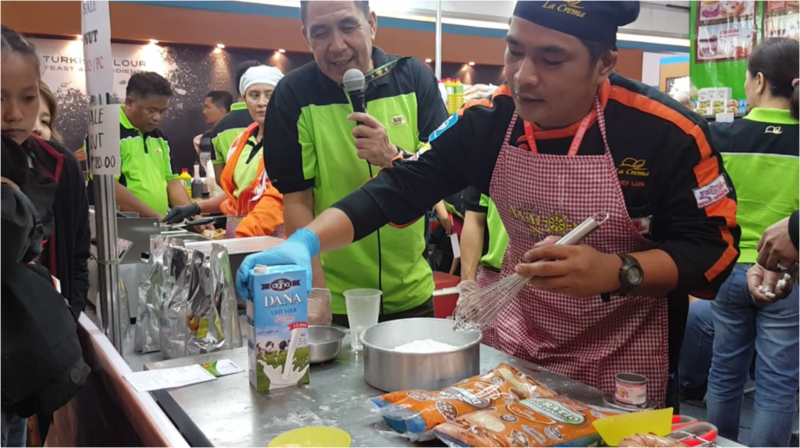 During preparation of various sweets and confectionery items a presenter spoke while the chef prepared the flour to mix with DANA milk. One great looking, and very funny, picture is the image of the little boy enjoying a little bit and being happy. When looking at the picture, you could wonder if he loves the DANA milk on the poster or the sweet roles being offered to spectators in the show at the right. We think both. Don’t you just love the image of that boy on that poster? We wonder if he is so happy because of drinking DANA milk or having some of those great looking roles being cooking at the side. We’d be happy with both. Wonderful sweets and donuts where prepared and offered to Manila World Trade Center visitor during the two day show. 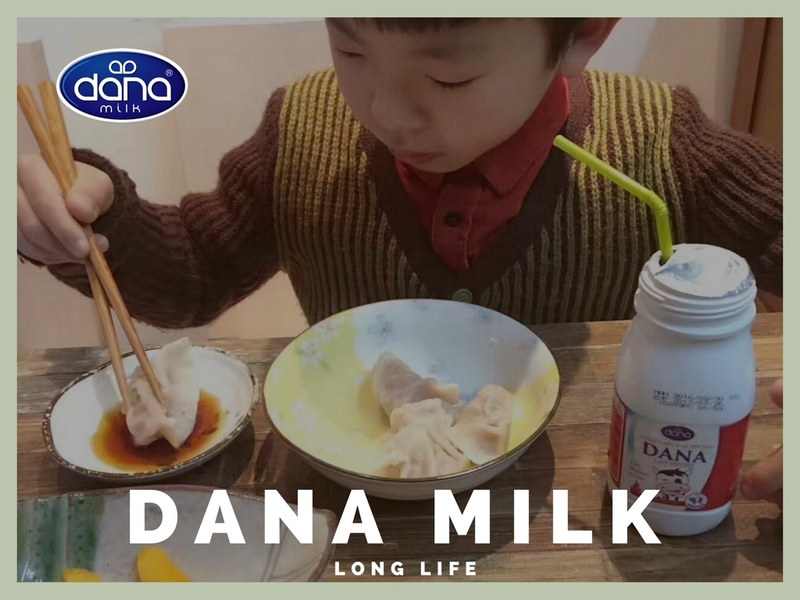 In many preparations, DANA long life milk stood out as the main ingredient used. 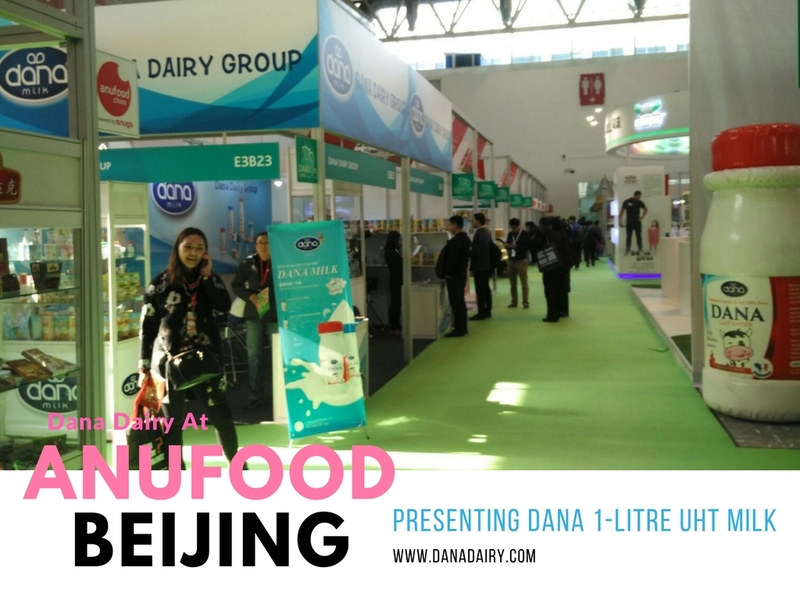 Our DANA UHT milk received a lot of cheers and attentions during the Bakery Fair show this year. 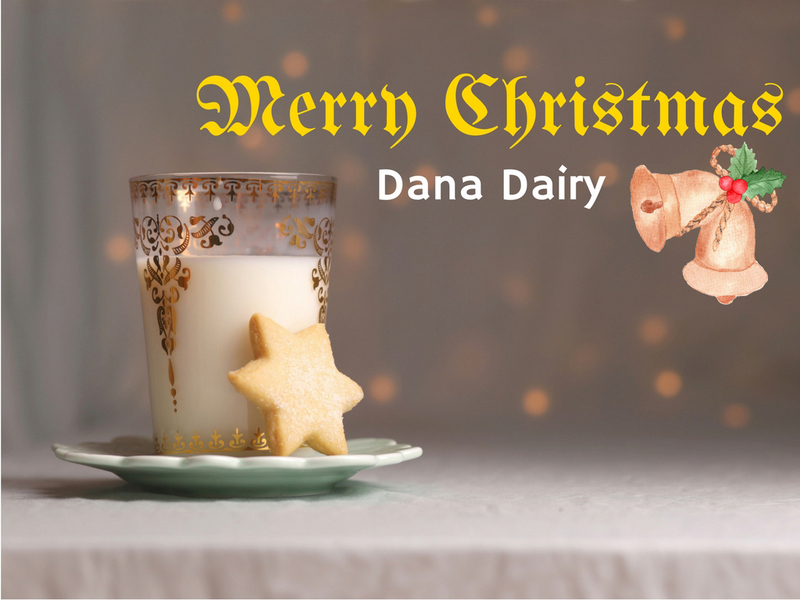 Great stuff are made with Dana milk. Wonderful sweets are loved everywhere and by everyone. 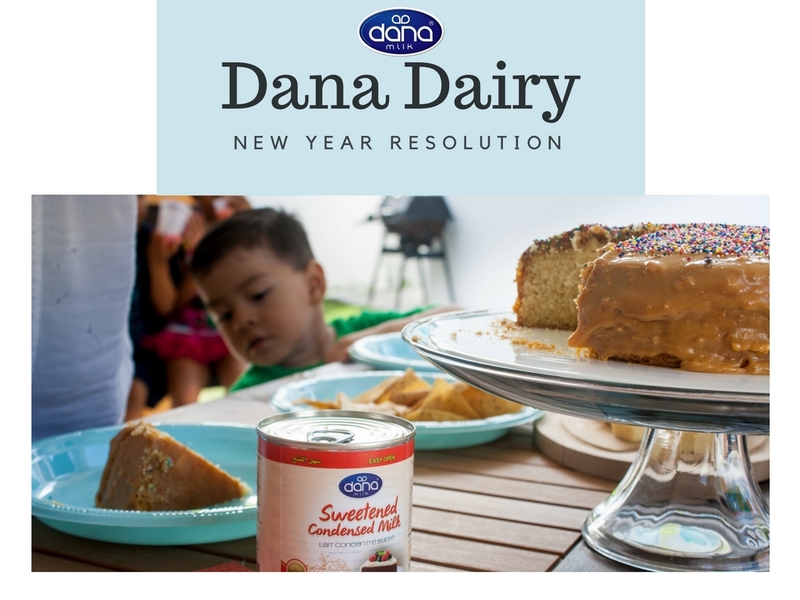 DANA milk is always happy to be part of your great cooking. 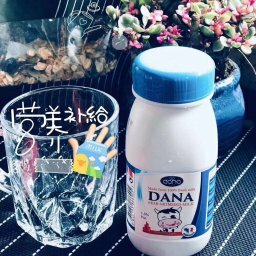 DANA full cream long life milk contains 3.5% natural fat. 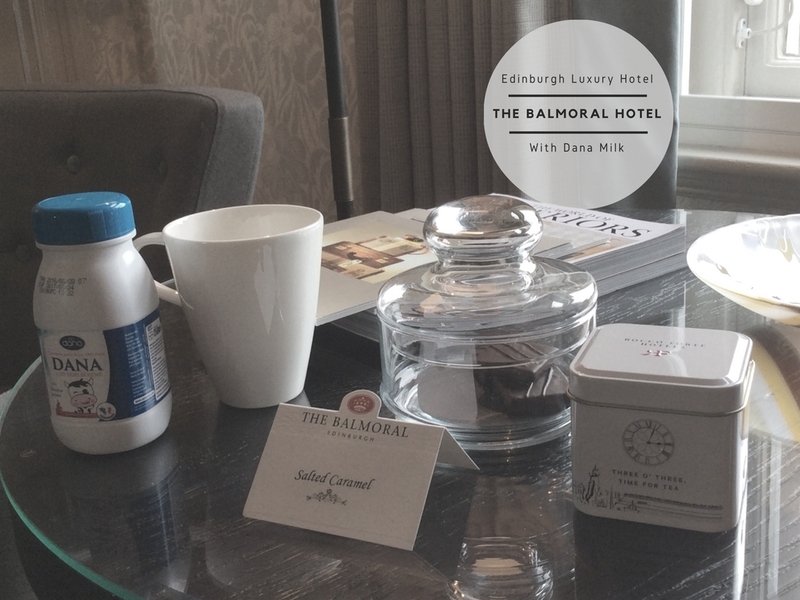 We pack the product in 1 liter tetra pak with great looking package design. Each carton of the product includes 12 one-liter packs. 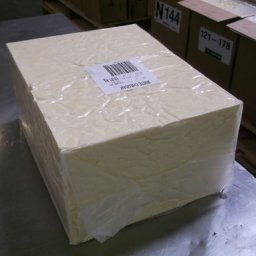 Tetra pak bricks and cubes are very easy and flexible in transportation and storage. 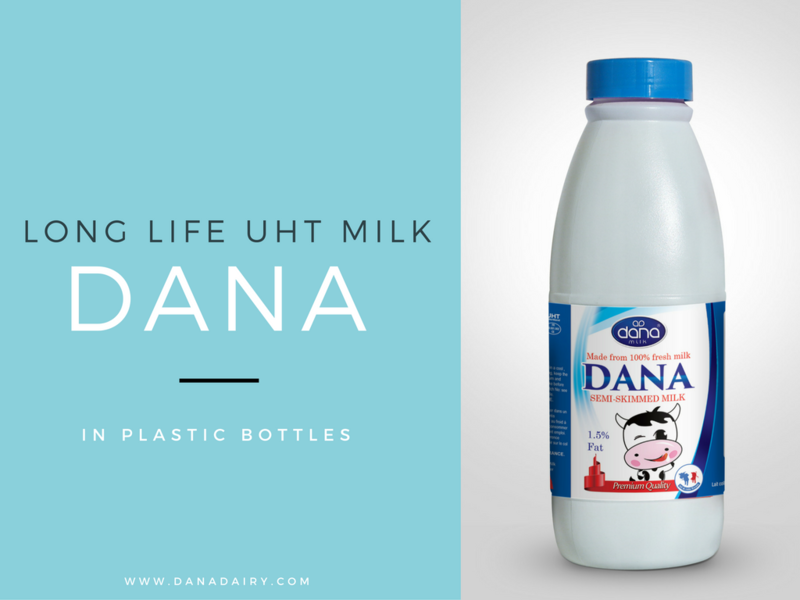 DANA Milk is wonderful tasting and long lasting shelf item now available to consumers in Philippines.